Do you have students this year that do not celebrate holidays? What type of accommodations are you making? When I had one of those years, I tried to make an extra effort to be a better planner. Each month, I sent home an overview of the topics and activities that I planned to do with my class. The parent would circle the activities that their child was able to participate in. I found that some families had a stricter interpretation of what was acceptable. Some parents allowed their child to study Thanksgiving because they felt this was history rather than a holiday. Some parents allowed their child to do pumpkin lessons such as the life cycle because this is a science lesson. But, others would not allow either of these type of lessons because they were seasonal. My best advice is to communicate with your parents ahead of time, rather than expect the child to know what is allowed and not allowed. Today I added a new packet to my store that is about Native Americans, but is not about Thanksgiving. This packet could be used at any time of the year. There is not a picture of a Pilgrim anywhere in this packet! 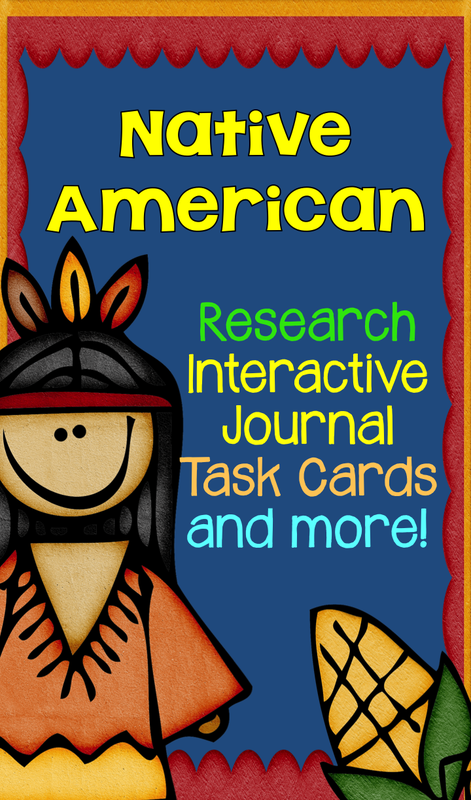 Many teachers like to do research projects about Native Americans at this time of year. If you have been watching the news lately, there has been some concern about society’s view of Native Americans. So, I thought it might be helpful if students researched famous Native Americans – both living and from the past. I also included a section about the Navajo Code Talkers. For those of you who like to integrate, this is the perfect lesson! You will integrate Veterans Day and the contribution of Native Americans. How great is that?!!! There are two different research projects. One uses a pie organizer to organize information. The other one uses a writing wallet to organize information. Includes a reading comprehension worksheet that gives an overview about these important historical figures. 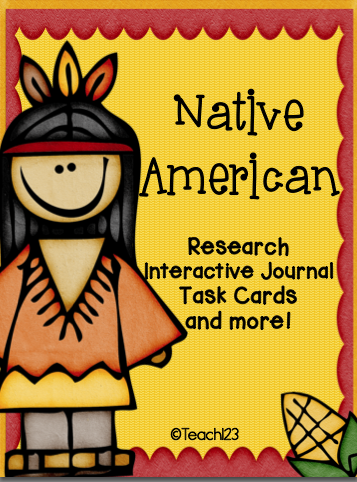 Includes 3 reading comprehension worksheets about the homes of the Plains, Pueblo, and the Eastern Woodlands tribes. Answers are included. 12 fact cards: These can be used with your whole group lesson in a pocket chart, as a memory game, or set up as a center. Each set has a different interactive printable. Each one is a different shape! Students will study suffix while they read facts about tribes of the Northwest. 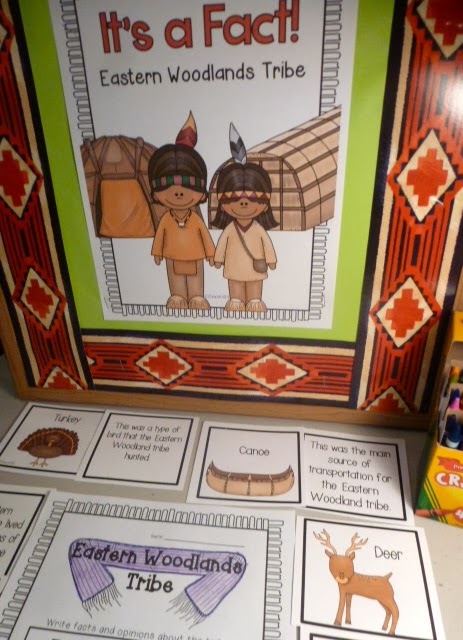 Students will study suffix while they read facts about the Seminole tribe. Click HERE to visit my TPT store.